This is a comprehensive review of the TaylorMade M1 iron. Labeled “distance, height and control”, the M1 is designed to pack much of the distance and forgiveness of the M2 iron, but in a more compact shape for improved feel and control. Like the M2, the M1 iron features cutting-edge technologies like the familiar Speed Pocket and Face Slots. The M1 won a gold medal from the 2017 Golf Digest Hot List. How well does the M1 iron live up to its claims? 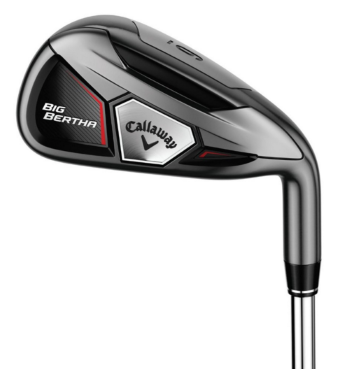 What type of golfer is it best suited for? Is it worth trying out? Read on to find out everything you need to know about it to make an informed purchase. Best suited for: The M1 irons are ideal for mid-handicappers, aspiring better players or any other golfers who want the forgiveness a GI iron can offer along with some better-player attributes. Best places to buy online: For new M1 irons, see this Amazon page, Global Golf (custom ordering available, credit refunds available for clubs that show normal wear) or the TaylorMade website. For used M1 irons, I recommend checking out Global Golf or this eBay page. Want a high-resolution look at the M1 irons? Click on the composite image at the top of the page and navigate the photos. The M1 iron has received mixed reviews from critics and consumers alike, but it has enjoyed a generally positive reception since its debut. It has a rating of 4/5 stars with 83% recommending on the TaylorMade website. The M1 irons have been praised for their excellent distance results, generous forgiveness and style more than anything else. Conversely, many have expressed disappointment in many areas. In particular, the sound and feel is generally regarded as being poor and mechanical, with little feedback for dialing in. Also, many have experienced caving in of the face near the Speed Slots within a few months of starting to use them. 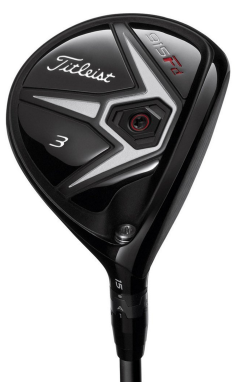 Speed Pocket: Similar to the Face Slots, the Speed Pocket is a slot at the bottom of the sole designed to increase flexibility, ball speed and forgiveness on shots hit low on the clubface. TaylorMade started rolling these features out with the RSi line. They are are intended to produce longer, higher shots with improved consistency. Low CG: A 15-gram tungsten toe weight in the 3-7 irons shifts the center of gravity (CG) lower and closer to the center of the face, improving forgiveness and feel. Geocoustic Technology: Like in the 2017 M2 irons, the M1 irons implement TaylorMade’s Geocoustic engineering: acoustics tuned through geometry. The Face Slots work in conjunction with a feature called a fin badge to dampen unwanted long-duration, low-frequency sounds. A thin-yet-stiff head geometry combined with strategically-placed reinforcements in the top line work to optimize the sound of the M1; the sound in turn is dampened using a very stiff fin badge connecting the back of the flexible face to the stiff back bar of the iron, producing optimal sound damping. Shafts and Customization: Available stock shafts are the True Temper XP 95 (S,R) in steel and the Mitsubishi Kuro Kage Silver in graphite. Numerous additional custom shaft options are also available. The stock grip is the Lamkin UTX-P .580 Round 47g. Below are the specs of the M1 irons. Click or zoom to enlarge. Distance and Distance Control: Distance results with the M1 are very good. In relation to the M2, the M1 is marginally shorter throughout the set, but that’s to be expected given the slightly stronger loft, higher launch angle and low CG; when you try to add feel and workability, you have to sacrifice something, after all. Indeed, with its tungsten toe weighting that keeps the CG low, the M1 retains nearly all of the distance that the M2 offers. Spin rate is similar to the M2, as is the carry and rollout ratio. 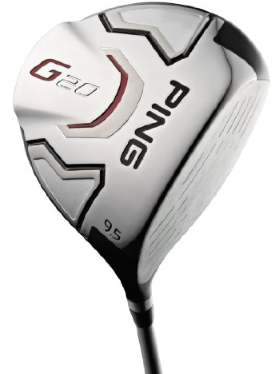 With that said, the M2 is by no means a pure distance iron. Forgiveness: Like distance, the M1 has great forgiveness, but again, marginally less than the M2. During my testing I tended to lose about 5 yards or so more distance on my off-center strikes. Again though, the irons have superb forgiveness, and I imagine most people wouldn’t have a problem with how it differs from the M2. The Face Slots and Speed Pockets work to minimize the damage of off-center hits and effectively increase the size of the sweet spot. Playability/Trajectory: Typical ball flights produced with the M1 irons are high-launching and straight. The M1 is marginally more workable than the M2, and so capable golfers can certainly shape different shots if they wish. I found general ball flight to be slightly lower than the M2, although not by much. Playability is very good; the heavy, rounded sole moves nicely through trouble such as the rough to quickly get the ball up and away. Look: The M1 may technically be a game-improvement iron, but you might have trouble figuring that out just by looking at it. Compared to the M2, the top line is a bit thinner, the head is slightly shorter from head to toe (and slightly smaller in general), and there’s quite a bit less offset. It’s a look that can appeal to aspirational and better players. While the altered appearance improves feel and control, the cavity-back M1 still provides a confidence-inspiring look behind the ball. The badge on the back of the face has a sharp design with concise branding and a minimal colouring. Personally, these aren’t my favourite irons in terms of how they look in and out of the bag, but that just comes down to personal taste. The M1 irons still earn high marks from me here. Sound and Feel: I personally don’t like the sound or feel of the M1 irons at all. At impact it’s a loud, heavy “click” that feels less explosive than the M2. I’m not implying that nobody would like it; I think that to a large extent it comes down to preference. When it comes to feedback, mis-hits have a feel that makes it difficult to discern where exactly you make contact with the face. Feel over the entire face seemed a little off to me and not much better than the M2. Be careful with any supposed new (not used) set of M1 irons being sold a very low price ($400 or more) compared to what is listed on the official website. The last thing you want to be doing is buying knockoffs. If it sounds too good to be true, it probably is! At the time of writing, you can get new M1 irons in a few configurations at a discount of over $100 from Amazon (link above). 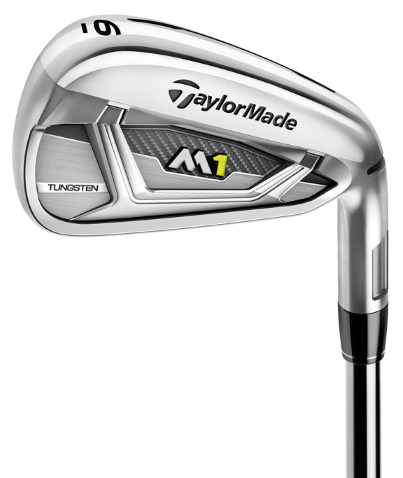 Other really great places to buy new M2 irons are Global Golf, Galaxy Golf and the official TaylorMade website. As for used M1 irons, check Global Golf and eBay. You can place custom orders on Global Golf. A good way to describe the TaylorMade M1 iron is being a jack-of-all-trades doing most things well, but not necessarily being the best in any one respect. All things considered, I think TaylorMade did a pretty good job of keeping as much of the distance and forgiveness that the M2 had as possible while slimming down the profile a bit to appeal to better players. Users should keep an eye on the Face Slots to make sure nothing funny happens with them. Whatever your skill level, if you want the distance and forgiveness of a top game-improvement iron without the bulk, the M1 is a really great option to consider. Want to give the M1 irons a try? You’ll probably want to check this out here! If you have any thoughts or opinions about the TaylorMade M1 irons, be sure to leave a comment below!